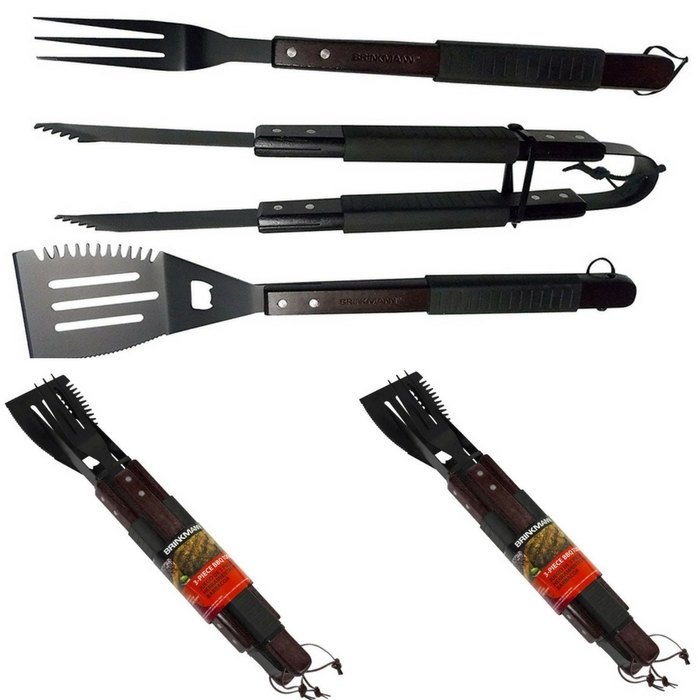 Brinkmann Set Of 3 Non-Stick BBQ Grilling Tools Just $14.99! You are here: Home / Great Deals / Amazon Deals / Brinkmann Set Of 3 Non-Stick BBQ Grilling Tools Just $14.99! Amazon is now offering Brinkmann Set of 3 Non-Stick BBQ Grilling Tools for just $14.99! For outdoor barbecue grilling with style and confidence. Made of steel with a non-stick surface. Dark Wooden handles with rubber grips. Spatula has a handy built-in bottle opener and a serrated edge for cutting meats.